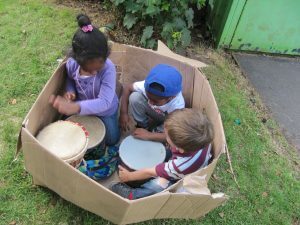 Children engage for longer when soundmakers and instruments are left in a contained space rather than in the open. 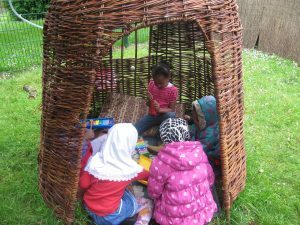 The privacy of the experience allows them to remain engrossed and take their investigations further. 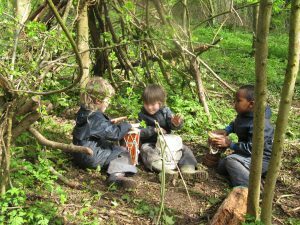 Ali Harmer uses the acronym ChIMP – Child Initiated Musical Play, and her research shows the benefits of providing musical opportunities in enclosed spaces. semi-enclosed spaces in woods – under overhanging branches, or shelters made by previous groups.